As the Digital Age sweeps through, grasping nearly every American, so do internet crimes. The FBI receives more than 300,000 computer crime complaints each year. Due to the high volume of internet crimes, officials have begun to crack down. Those accused of a computer crime may now face extremely harsh punishments in California. If you have been accused of an internet crime you could face a life altering sentence. You want an experienced Internet Crimes Attorney to fight vigorously for you. An internet crime is any illegal activity that involves a computer. Any individual who accesses a computer, computer system, or computer network and alters, disrupts, deletes, destroys, or changes any part may be charged with a computer crime. There are many variations of the crime that range from a misdemeanor to a felony. At times an individual was unaware they committed an internet crime, yet the prosecutor may show that they had an intent to cause harm. Remember, the prosecutor must prove that you “knowingly” engaged in the computer-related act and acted without permission or authorization. Accessing a computer without authorization and subsequently transmitting classified government information. Transmitting code that causes damage to a computer system. Trafficking in computer passwords for the purpose of affecting interstate commerce or a government computer. If are under investigation or have been accused of a computer crime, you could face imprisonment and a hefty fine. Don’t let your fate be determined for you. Hire an aggressive attorney to stand by your side. If you have been convicted of a misdemeanor or a felony the charges you face may be severe. For a first time offense, no injuries, and the value of the computer services used does not exceed $950 an individual may face 1 year in jail and/or a fine of up to $5000. Internet crimes may be charged as a felony if more than $950 in value was involved. An individual may face up to 3 years in jail and/or fined up to $10,000. If you do not have proper representation you may face severe lifelong repercussions due to California’s severe punishments. Hire an attorney that will fight relentlessly for your freedom. 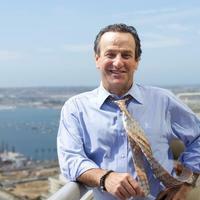 Contact San Diego Internet Crimes Attorney Michael Berg at (619) 239-2186 today.